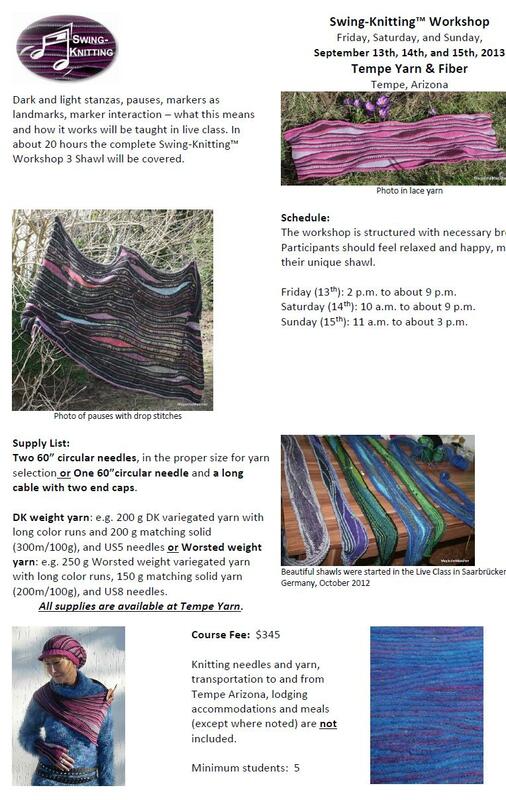 I’m happy to anno unce another Swing-Knitting™ Live Class in the US – together with Tempe Yarn & Fiber we’ll have a wonderful time together and learn all about the basics of Swing-Knitting™! 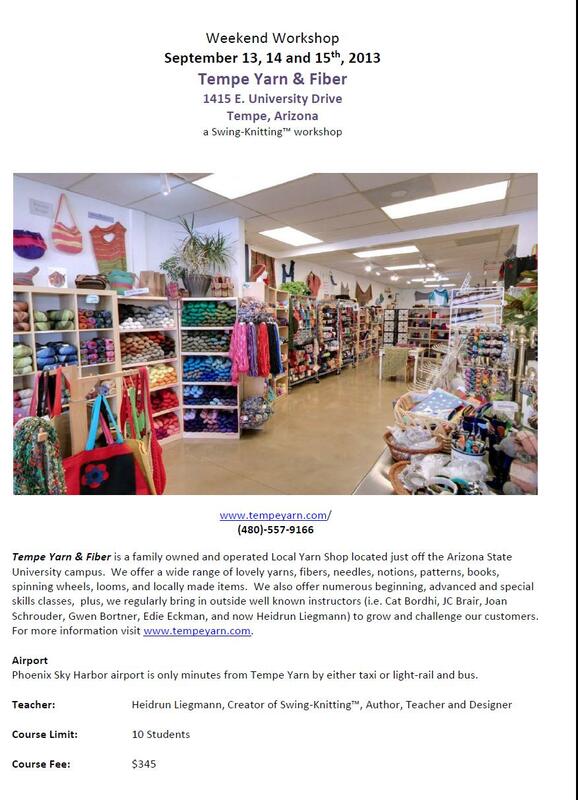 The next date that is fixed is the class in Tempe, Arizona, September 13th to 15th. 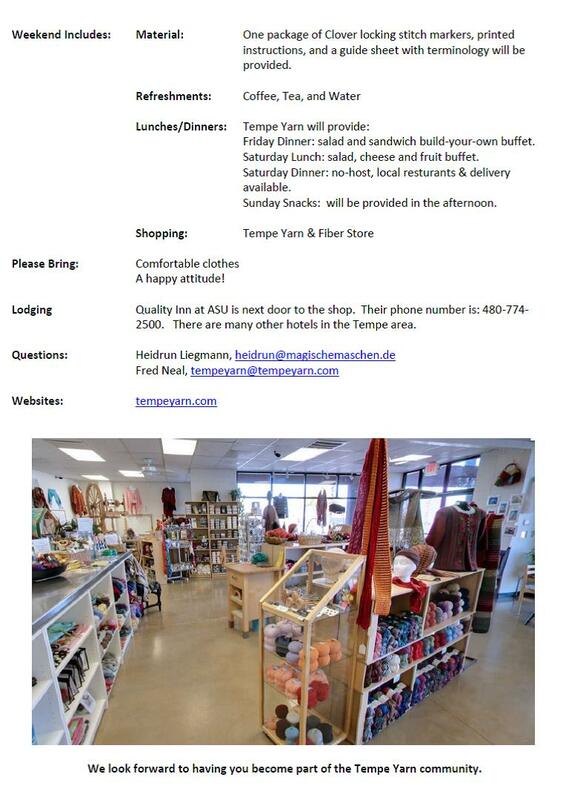 Tempe Yarn & Fiber is a family owned and operated Local Yarn Shop located just off the Arizona State University campus. They offer a wide range of lovely yarns, fibers, needles, notions, patterns, books, spinning wheels, looms, and locally made items. They also offer numerous beginning, advanced and special skills classes, plus, we regularly bring in outside well known instructors (i.e. Cat Bordhi, JC Brair, Joan Schrouder, Gwen Bortner, Edie Eckman, and now me :)) to grow and challenge their customers. 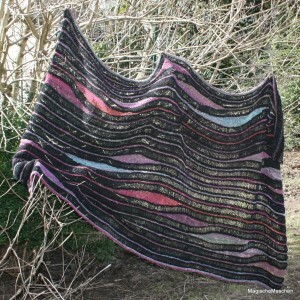 For more information visit www.tempeyarn.com.